SpaceX has filed an application with the Federal Communications Commission to begin ground testing of a satellite communications system between its facilities in Redmond, Washington, as early as this month. Redmond is the base of operations for SpaceX’s multibillion-dollar effort to create a 4,425-satellite constellation in low Earth orbit for global broadband internet access and remote imaging. This week’s filing suggests that the company is getting closer to deploying its first prototype satellites. The filing first came to light on Reddit’s SpaceX discussion forum. SpaceX’s application covers the time frame from October 24 to April 24, 2018, and refers to “antenna testing at the SpaceX Redmond Facility for SpaceX Mission 1400.” The equipment to be tested includes experimental rigs built by SpaceX, plus standard components from Texas-based Fairview Microwave. No high-flying spacecraft would be involved in the tests described in the FCC application. 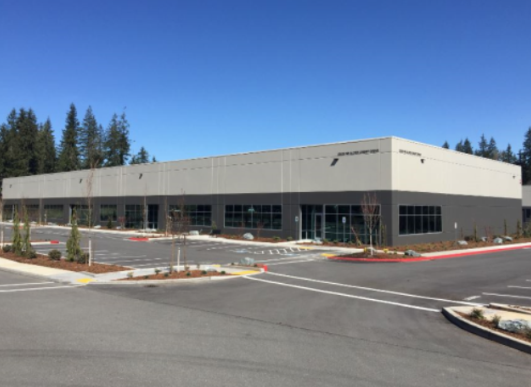 Sharp-eyed SpaceX fans on Reddit checked out the GPS coordinates listed in the document and figured out that the antenna system would be deployed at SpaceX’s recently acquired lab at Redmond Ridge Corporate Center. The other end of the communications link would be located about three miles away, in the vicinity of SpaceX’s satellite development offices on Northeast 68th Street in Redmond. Access the rest of this article by Alan Boyle for GeekWire here.